Dr. John H. Lee and Dr. Sidney Caplin are committed to providing outstanding orthodontics in all phases and types of treatment ranging from comprehensive adolescent orthodontics, limited treatment for specific goals, and early interceptive phases. If you are an adult interested in braces we offer the latest technology in clear invisible braces from Invisalign to cosmetic braces. Dr. Lee and Dr. Caplin are highly trained in all aspects of orthodontics and are fully dedicated to patient care. 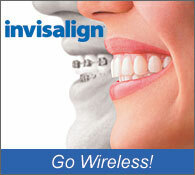 Our goal is to provide the best orthodontic care possible to all of our patients. We pride ourselves in delivering excellence, not only in orthodontic treatment, but also in all aspects of our relationship with you. Our office is made of health professionals dedicated to providing the highest quality care to all those that seek our help.